Let’s face it, nobody likes ads. People like ideas, stories, jokes and solutions to their problems, but they don’t like ads. Ads are an interruption to our favorite TV show, a necessary evil on the internet and something we flick past in newspapers and magazines. The average consumer doesn’t hunt out ads to see more of them, in fact they try their best to block, avoid or ignore them. This poses a massive problem for people like me, whose job it is to create ads. The onus is on us to blur the lines between advertising and entertainment or utility. The two examples of ads that I like both stood out to me because they don’t feel like ads at all. The first ad didn’t air in a break during the news. It was placed within the news. The second ad I like solves a problem that regular advertising couldn’t. Regardless of legislation or traditional comms, the audience wasn’t listening, behavior wasn’t changing. So, Samsung Insurance came up with a solution to the problem as a way of demonstrating their commitment – instead of just talking about how committed they are. An ad that I don’t like is the one you avoided this morning. The one that made you tune out because it felt like it was trying to sell you something, rather than interest you in something. The ad that looked like an ad. Want to submit your own take on three ads? We don't share your info. We only share ours. Brands and agencies tend to shy away from “purpose”, feeling it safer to stick to their remit of simply making ads. But occasionally, a brand has a real chance to own a space and do more than just advertise. There are many well-made Japanese style campaigns which feature someone famous, but I personally don’t gravitate towards TVCs focused just around a celebrity. As communication technology powers ahead towards faster data speeds and wider connectivity, perhaps it’s no longer about portraying technology as something that enables us to do more, but technology as a window from which we experience the world – opening up many more possibilities. The average consumer doesn’t hunt out ads to see more of them, in fact they try their best to block, avoid or ignore them. Using ‘real’ people in ads is not easy, getting an emotional story arc from a whole group of them is even harder. And don’t let the ‘underproduced’ style fool you. I love watching Superbowl ads because this is when and where all the entertaining and big-budget ads are aired in one large burst. For this year’s Superbowl, I especially enjoyed the Amazon Alexa ad “Not everything makes the cut”. It is not easy to do funny well, and a lot of times we fall into the trap of setting up gags versus finding funny truths. Being committed to inspiring action through behavior and experience-led ideas, we’re constantly trying to move away from the idea of ‘sheep dipping’ people in a brand, and instead, focusing on creating behavioral change. "Machina" paints a less than flattering portrait of her time in South Korea's KPop industry, saying it made her feel like a "doll" and was "just a business". In March, viewers across APAC loved watching ads that combined two seemingly unrelated ideas to create a unique story. Ad Stars has announced that Robin Fitzgerald, Chief Creative Officer at BBDO Atlanta, is joining Ad Stars 2019 as an Executive Judge. The appointment will allow the network to strengthen its data-driven marketing capabilities. We already know organizations are constantly trying to catch up with customers’ expectations, but I was most surprised to see just how fast the customer experience gap is widening across APAC. The global CMO of Kemp shares how product positioning changed in light of technological innovations, and how he markets the product through partners. We have achieved our goal within two years here at TBWA\Singapore. Now we need to set our sights on something much bigger than Southeast Asia. This means picking up Agency of the Year in Cannes. Branding in Asia brings you “One Under 30: Young Creative Spotlight”, a feature focusing on up-and-coming individuals in the ad world. Darren Chia, Geometry Malaysia. Branding in Asia brings you “One Under 30: Young Creative Spotlight”, a feature focusing on up-and-coming individuals in the ad world.Next up is Adith Fernandes, senior copywriter at FCB Interface. 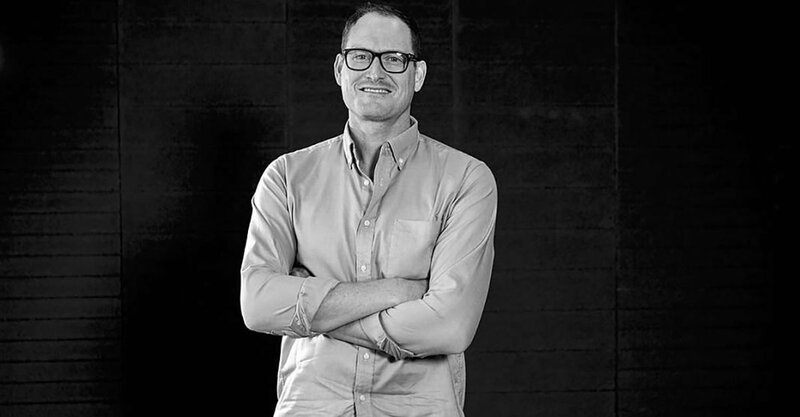 Gavin Lee eventually went on to work with Blak Labs, Dentsu and the back to Saatchi & Saatchi in China before settling in with Digitas in Shanghai in August of last year. As part of an ongoing series highlighting young talent in the industry, Branding in Asia brings you “One Under 30: Young Creative Spotlight”, a feature focusing on up-and-coming individuals in the ad world.